Brands, and especially those huge ones, keep trying to get our attention by creating massive scale marketing campaigns that involve participation from the fans of the brand or the product. Some of these campaigns are more successful than others, for different reasons. We will cover some of the most remarkable marketing campaigns here and examine what made them so popular within the general population. If you’re planning a marketing campaign of your own, there are many “tricks” that you can borrow from the big brands, and some may even inspire you to take your own campaign to another level. Coca-Cola is no stranger to ultra-successful marketing campaigns and they didn’t get much wrong with “Sharing Can” either. As a matter of fact, the campaign was a total success. As a part of their global “share happiness” concept, they created the “sharing can” to bank in on their broad and positive appeal, especially with the younger population. Coca-Cola designed their can so it can be split in half, so a couple of friends can share it. Another campaign related to beverages gets a mention on our list. HBO set to create the hype for the first season of their show True Blood by doing a thorough research of their target audience and by mixing up fictional universe with reality. In the show, there is a complex backstory about a beverage vampires can drink instead of human blood to stay alive. In addition to selling the TruBlood drink which was advertised through poster campaign. There were also PSAs and posters that advocated support for equal rights for vampires which even further intrigued their target audience. The campaign for The Blair Witch Project predates the age of social networks and YouTube. With a budget of only $22,000 they created the buzz that is hard to duplicate even in this day and age and with a much heavier budget. The campaign was successful in leading people to believe the events from the film were real and that the “found footage” used in the film was actually authentic. Back in the 90’s rumors and misinformation was spread easily but debunking the created myth was way harder. So by the time people realized the story is fabricated, it was already too late and the film grossed over $250 million. Back when you were a kid Old Spice brand did bring something remarkable to remember them by, but it was just a brand you were likely to find in your grandfather’s travel bag when he would take you on vacation. These days it’s a completely different story. Old Spice engaged in a massive campaign on different media platforms. Old Spice was all over YouTube, social networks and a 2010 Super Bowl TV ad. In the following five months or so, Old Spice Man appeared in 180 videos that received worldwide attention as well as increased sales of their body wash products (107% within 30 days since the campaign launched). These campaigns were successful not only because they advertised a quality product from a famous brand, each and every one of them told a story as well. In the era of social media, campaigns really need to make people love the entire concept, and not only the satisfaction a quality product provides. Diana Smith is an author of this article. 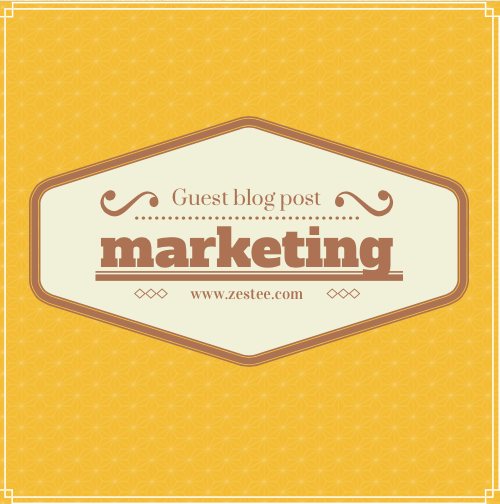 She is a regular contributor to several business and marketing blogs. In her free time she loves to write about new ways to promote business on a low budget so she researched cubicpromote.com.au. Diana enjoys strong black coffee and taking long walks with her favorite dog LuLu. I definitely remember all these examples in your article. That makes it even more amazing that these brands not only made these products popular at the time but that they also have longevity too! Amazing exposure for a relatively small budget. There is definitely a lot that can be learnt from them.